This morning I went through a couple of my Lightroom folders and found a corporate shoot that I did in November last year. My subject was a very nice lady who is in the retirement funding business for employees that work in the ‘wheels and tyres’ business (yes, we have experts for everything here). Anyway, long story short, I packed my Leica SL, the 24/1.4 Summilux, 50/0.95 Noctilux, two Broncolor Siros 800 L units, two softboxes and some other stuff. 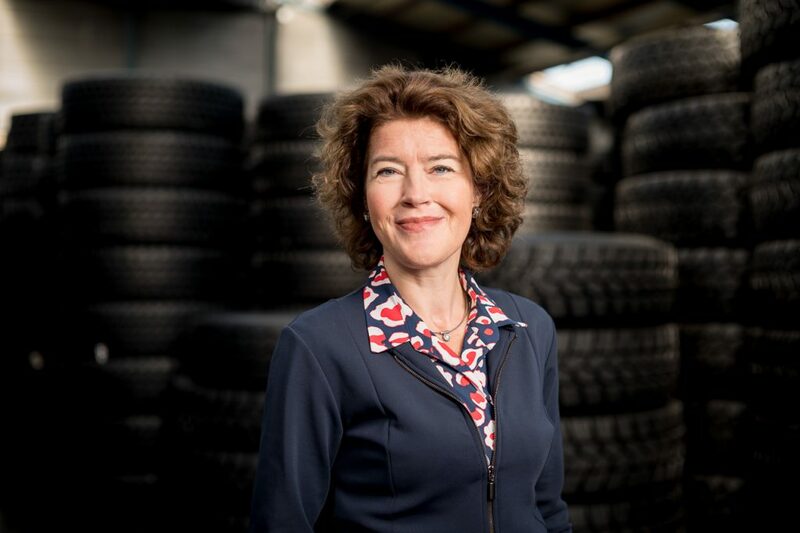 I wanted to show something of the tyre business, so I had requested to shoot at a company where they actually have a lot of tyres laying around. Well, they had plenty here. So how did I take these shot? First I set the exposure of the Leica SL to a level where I could see enough of the tyres in the background, but without a flash, the picture would be underexposed. Next, I set up one of the Siros units with a 60×60 softbox (this is small enough to carry around and go through doors, while the softbox is still set up, but big enough for soft light). Then, I manually set the amount of light of the flash until my subject (and a bit of the surrounding tyres) was well lit. A very simple setup which resulted in a set of pictures which my client was very happy with. I’m currently working on a (small) group workshop where I’ll be teaching essential flash, studio and portrait skills to Leica users. Stay tuned for more.